I was recommended Becky by a friend who had recently used her for her own website shoot. For me the thought of having a photo shoot had been something that I had been avoiding and constantly pushing towards the bottom of my to do list. However, I am my business, and I knew that having photos that really expressed the heart of who I am, and my brand was critical, so I took the leap and gave Becky a call. That initial call with Becky really put my mind at ease and even made me a little bit excited. She took so much time to understand me and the business I am creating. You can tell that she really cares about each client and their story. When she emailed me after our call to summarise, I read her words and it was incredible to see just how well she had captured what I was trying to achieve. She completely got it. On the day of the shoot, I was really nervous and excited. Becky arrived and with her came this aura of calm and comfort. At the beginning of the shoot she sat me down, made me close my eyes and read my brand statement to me to reconnect me to my purpose. When we started shooting, Becky took on the role of photographer, stylist, animal handler (for my menagerie of pets) and a reassuring friend. The photos she has given me have exceeded my expectations. What I love most is that the pictures aren’t just pictures. For me they really capture some beautiful moments of laughter and joy. They are warm and inviting and that is exactly what I wanted for my brand. Working with Becky on my first photo shoot was an absolute joy, personally and professionally. She radiates such warmth and kindness, (something which came across instantly listening to her brilliant pre-shoot audio) and it made putting myself in her hands so easy. Becky took the time right at the start to understand me and what makes me tick, as well as the why behind my business and what my marketing goals were, so that she had a clear idea of my brand and what we needed to capture. Her support leading up to the shoot and on the day itself was just brilliant - genuine, patient, creative and encouraging — and the editing process was a breeze. I can’t recommend Becky highly enough. Becky Rui was a delight to work with. The pre-shoot consultation around who I am and what my brand is about really helped me realise how I wanted to be portrayed, which is crucial in brand photography. On the day Becky showed up with energy, enthusiasm and careful consideration of our needs in the photo shoot. I had the 90 minute package and it was amazing the value I got. It has helped me feel confident that when I need further photos in the future, I'm coming back to Becky. She helped capture me as "me", not an unrealistic image which isn't me. Just me on a really good day. I started my business as a hypnotherapist at the beginning of the year and needed some photos for my soon-to-launch website and marketing materials. My husband kept suggesting to me random friends of his who were photographers or just happened to own a good camera. The idea of being photographed made me feel a bit uncomfortable anyway, but the idea of some random, disengaged person pointing a camera at me made me feel sooo awkward. I realised that what I needed was someone who could do more than just take a few photos of me. And then I found Becky online and realised that she was everything that I needed and much more. Before the shoot, Becky really made an effort to ‘get’ my business and understand what I wanted to achieve by working with her, and why I wanted that. She then used that insight to suggest how it could be captured in a variety of fabulous photos. I LOVED Becky’s tips and guidance in preparing for the shoot, which made me think about things I hadn’t even considered, but that really made a difference to how I felt during the shoot and the finished photos, like connecting me with a wonderful hair and make-up artist. During the shoot, Becky gave me brilliant direction and tonnes of lovely support. She was so calm and so sweet, I knew that she was absolutely the best person I could have chosen to work with. The results are so many gorgeous photos. Photos that make me feel so professional and that are perfect for helping me to put myself out there and confidently progress my business. Within days of receiving them I was confidently posting my business profile here, there and everyone online. But there are also so many photos that are just beautiful photos of me and my husband’s jaw-dropped when he saw them! Becky was a total joy to work with from start to finish. She is a fantastic photographer and a lovely soul, and she brings so much more to the table than just a camera! I felt Becky understood me as a person and my brand, she really explored who I was and what I wanted to achieve from the shoot. I was excited about showcasing how I fit into my brand and the shoot was such fun, I felt like Becky was a missing little sister of mine - so easy to get on with, fun to work with and very good at giving directions on posing! I was very excited about the photos and number of them which were suitable to use in my business - I use them a lot in my social media, website, blog posts and had one of me and my dog enlarged onto a canvas in my office! Read Bernadettes experience of her rebrand and the important part personal branding photography played right here! It was such a delight to work with Becky - she took the time before the shoot to listen to where I was at in my journey, what I wanted to achieve and most importantly to find out who I am, my values and my interests. I had the shoot done as I was emerging from a particularly challenging time in my life and Becky was very attuned and accommodating to this, bearing witness to who I was in any given moment. This made the shoot a partnership and a deeply spiritually connected experience. Without I doubt, I would work with Becky again and again, and highly recommend her and her work. 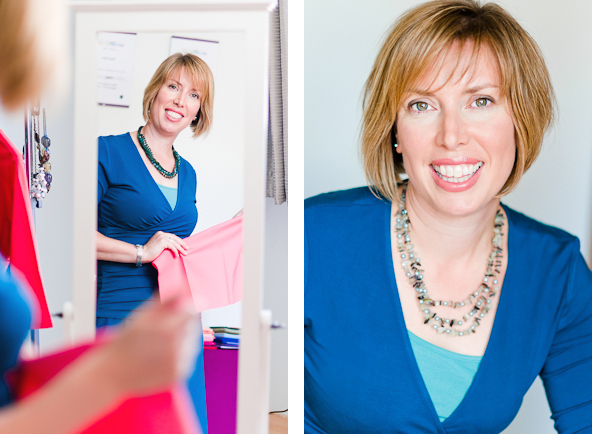 I was thrilled to work with inspiring Rosie Paterson on her Personal Branding Photography in London. Check out what she had to say about her experience in the video to the left! Becky asks all the right questions to get to the real purpose of the photo shoot and then sets the scene to get the desired effect. She is incredibly professional and her infectious enthusiasm makes the whole experience a delight from start to finish. I am absolutely thrilled with the results and highly recommend Becky to capture the absolute essence of her subject. If you want photographs that convey the level of truth, honesty and experience that it requires to have your clients trust and invest thousands of pounds in you, I wholeheartedly recommend Becky. Her professional approach, flexibility and unrivaled ability to "see" the right angle and capture the right moment will do wonders for anyone. Remember, it's in the moments that move our hearts that people are inspired to work with you. Becky just has a magic ability to press that snap button right when that moment is happening so that it's captured for a lifetime. I love her work. "Becky Rui is a great photographer and a joy to work with. In order to present the correct image to perspective clients and employers, a professional profile photograph was needed. Being very camera shy, I was worried about the shoot and how the pictures would turn out. All of that changed on the day, as Becky makes you feel very at ease and comfortable and the final photographs were perfect. I even bought additional ones paying the extra as I could not chose just 2. I would definitely recommend Becky." Becky Rui is a photographer that I can highly recommend. Her latest blog is about the photo shoot of me. I usually hate having my photo taken because I always feel such a twit and rarely like the results. With Becky all that changed. It was such a fun session. Becky makes you feel so relaxed and good about yourself. I was very pleased with the results. A very worthwhile investment! Becky is highly professional and empathetic in her approach – wanting to understand more about my business, and me, in order to ensure that she was able to give me the pictures I needed. I had been spurred on to overcome my usual reluctance to be on the wrong side of a camera (!) by needing photos for my new website. She was reassuring throughout and the results of Becky’s work speak for themselves. Becky has produced great results for me – she is also a lovely person to work with – all else I can say is a big “Thank you! Becky took some profile shots for me to use personally and in my business. She was lovely to work with and took extra time on the day making me feel very comfortable and at ease. The shots are lovely and I struggled to choose my favourites out of the many choices she gave me.If you’re looking for lovely, flattering natural shots that bring out the best in you then she’s your gal! Wow, what can I say about our photoshoot!!! It was an amazing experience. We were immediately put at ease by Becky’s warm, kind personality. It was really useful that the three of us met up for a coffee beforehand to get clear on our intention for the shoot. Becky kept the session fun and was constantly able to help us re-focus ourselves on the outcome we wanted to achieve. We are very happy with the end product and the evidence is all in the photographs that were created. Becky has taken two sets of business shots for me this year which I am extremely happy with. She is open to new concepts regardless of how mad they may seem and understands immediately what result you want and the image you wish to portray. Becky also did “fly on the wall” photography at my client’s 40th birthday. She did a marvelous job interacting with guests at the party, both adult and children and the photos were fabulous. Professional and very calm and friendly, Becky puts everyone at ease with the camera therefore providing you with a large number of wonderful photos to choose from. Becky did a fantastic job and produced a wide range of photos. She made me feel totally relaxed and I thoroughly enjoyed it. Many thanks. "Becky did some great photos for me – and I hate having my photo taken, so this is no small feat. The photos were for my training business (www.valentinakeller.com) and I was really nervous beforehand, but she put me at ease and I really enjoyed the session. I’ve had very good feedback from people on the photos I eventually chose to use. I am very happy to recommend Becky." "I engaged Becky’s to take some new business head shots for my website. Like many people, I’m not keen on having my photo taken however Becky’s approach put me at ease straight away. She also planned a great venue for the session and I’m really pleased with the results. I would highly recommend Becky, she a lovely person and a great photographer." "Becky is a superb photographer, explaining to me the costs and layout of the session before we started, meeting my objectives, understanding what I was looking for and creating her own ideas to compliment mine. Becky coped really well with our constant ideas of doing something new and creative and the outcome of the photos was truly excellent! I was very happy with Beckys work and I would hire her again any time and recommend her to anyone and everyone!!!" "I needed to improve my image for the business because a picture tells 1000 words. Becky did that and more with her ability to get me energized about what I do and obviously her great ability to take fantastic photos. She took time to listen and learn about me, the company and what it stood for. During the shoot Becky cleverly got me thinking about what I stood for and brought my passion, enthusiasm and personality out and I have had many compliments on my new photos. I will use Becky again and again without question as she undoubtedly knows how to get the best out of someone and get them to stand out." My vision for the work I do really comes from a calling to be of more service in the world, to bring my learnings and experiences into play so that I can be of purpose to what is needed. The creation of my website was like the gestation of a baby and I felt every element needed to be considered and nurtured. As my background is in photography , I can be uneasy with the lens been turned on me so I took a while searching for Becky. I chose to hire Becky because I'd been following her work for a while now and as a branding photographer myself, I realised it was time to walk my walk and invest in my own image! I was nervous about the shoot, but talking everything through with Becky beforehand helped so much, it meant that I fully enjoyed the day and felt that I was in great hands throughout the shoot itself. At the end of the day I just had such a huge sense of achievement and gratitude - towards everyone who'd helped make the shoot happen and to myself for finally taking the leap. When I got the photographs back I was just in awe of what Becky had done, these images feel like me, tell my story and have already made a huge difference to my business. People have really noticed the new images, are taking more notice of me and honestly, this shoot has been a catalyst for a lot of other things coming unblocked in my business. The main benefits of the overall experience are that I know have a better understanding of how my client feels about the work that I do and the images themselves are leading to more interaction on my social media, me posting more on my social media and me being SEEN! This photo session was pivotal in my journey to sharing Yoga & Wellness beyond my four walls. The conversations we had throughout our time together were clarifying and empowering, and enabled me to step out of hiding and into my broader vision. Since then, my new Yoga Studio has grown and my classes are flourishing, undoubtedly out of the seeds watered on this shoot. I am blown away by the beauty of these images we have created. You are a talent, a gift and a true artist. You made me feel like a goddess on the day and that is reflected in what we have created. From the bottom of my heart, thank you. Becky was really easy to talk to, and very positive and encouraging about my new business! In particular I found the conversations regarding branding really useful as it helped me to get clear on my personal brand. I was nervous at the thought of having my picture taken but I really enjoyed the shoot - I relaxed more and more and by the end was lapping it up! I was very impressed with the photos, especially how many there were, the majority I wouldn't hesitate to use. I have had great feed back on the photos and have recommended Becky to many other people. I'm using the photographs right across my brand on my website, social media, emails etc and am very happy with the investment I made in the shoot! "Working with Becky was a dream. Right from the first conversation we had, I really felt she 'got' me and my business. The questions she asked were so insightful. In fact, straight after our first conversation I felt completely inspired to write a whole new series of workshops! The whole process helped me get so much clearer on my brand, and I am thrilled with my new photos. If you are thinking about getting a photoshoot done, and you are looking for images that really capture the heart and essence of you and your business, I highly recommend booking a call with Becky. You'll be glad you did!" "Working with Becky Rui for my very first professional photo-shoot was an all-over amazing experience. Becky has such a warm and kind personality, I immediately felt at ease with her. The information she sent me leading up to the shoot was extremely helpful in preparing, and I felt completely taken care of by her in picking the locations for the shoot (in Paris!!!) as well as her help in arranging an amazing hair and makeup artist for the day of the shoot. I never could have done all of this without Becky's expertise and connections - she made it so easy for me to make some simple choices and the rest of it was basically all taken care of! During the shoot itself, Becky was so supportive and made me feel totally at ease. I felt like a celebrity - it was so much fun! The images I received from the shoot were amazing, and I'm so excited to use them in basically giving my business and marketing a total makeover. Words cannot express how grateful I am to Becky for this gift of such a wonderful experience, with such fantastic results that will be of huge value to marketing my business for a long time to come. THANK YOU Becky!!!" After having seen some of Becky's STUNNING photos on Facebook, I knew instantly that she was the photographer for me! There was something very different about Becky's photographs - they were both natural and relaxed whilst at the same time capturing the true beauty of the subject. From our first telephone conversation to the end of this time working together, Becky was a true professional. Becky understands that not everybody is comfortable in front of the camera and she so knows how to make you feel at ease. Whilst chatting, laughing and having a good time she manages to capture pictures that are natural, fun and unposed - and that was EXACTLY what I wanted! Becky's photos speak volumes. In Becky I found everything I was looking for - someone who .... creates great pictures, is a delight to work with, knows her stuff and most importantly gets you noticed! "Becky is fantastic to work with, she puts you at ease from the outset with her friendly communication style. Becky took time to research and discover my business needs and expected outcomes. This resulted in portrait and product shots that are perfectly suited to my business and capturing my brand, exceeding my expectations. Becky also had some great ideas for locations for portrait and studio shots. The new and current photos have certainly contributed to increased traffic and time spent on my website. I would wholeheartedly recommend Becky for product and portrait photography." "Becky is truly creative and really knows her business. She put me at my ease expertly and quickly and the photo shoot was fun. The photographs she produced for me are exactly what I need and she delivered them to me in a timely fashion. I would highly recommend Becky to all my colleagues and friends. In fact, I have used her twice now. Thank you Becky. "I would highly recommend Becky for any occasion you have coming up in the near future she really is a gifted photographer. I usually hate having my picture taken but Becky made it great fun and the results were so amazing I couldn’t limit it to the 5 pictures I originally commissioned and paid for an extra 2! Thanks again Becky you really are so talented and make having your picture taken a really transformational experience." "I hired Becky on the recommendation of a colleague. It was a completely justified recommendation. Even within her preparatory correspondence, Becky came across as knowledgeable, thorough and very likeable. She conducted considerable research to select good locations after ascertaining from me what I was hoping to achieve with the images. She arrived promptly and well-prepared for our day of filming. She had the order of the day well-planned. Because I am inexperienced in this area, I felt very confident to follow Becky’s lead and benefit from her experience. It was a most enjoyable day. Becky was so relaxed and easy to get on with. I felt that she would be capable of dealing with any unexpected difficulties or changes to the schedule. She had a wealth of ideas for achieving a varied range of shots from which I would make my choice. I was delighted with draft photographs that she sent promptly for me to have time to make my choices. I was even more delighted with the finished shots. They are really lovely and have a very natural feel. When I show the images to others, their response is always, ‘Wow! Who’s the photographer?’ I highly recommend Becky. She has a great talent and she is a lovely young lady. I will definitely be using her again in the future." "Becky, you have captured the precise image I was hoping for. I am so excited to be able to get this out there on my new website! I felt very relaxed having my pictures taken with you and loved the way in which you asked about my business so you could create the right ambience. You are a very talented photographer and I will be shouting about you to all my business colleagues." I hired Becky to take some shots of me for my business this year, following several word-of-mouth recommendations of her work. I had delayed getting this done, as I’m not keen on having my photo taken. Becky was lovely and made me feel really relaxed and I actually enjoyed the shoot!! I had an idea of the kind of feel I wanted to achieve, which Becky understood and executed perfectly. On receipt of the images, I was very pleased with the results, and would highly recommended Becky as a great photographer. "Becky Rui is an excellent photographer. When we worked together she took great care with the settings, the angles and the lighting. She made sure she got the technical aspects right. More than that she helped to create the right mood for a business photography session. That helped to make the session a success. I recommend Becky, not just because she takes fine photographs. She is also really skilled at working out what her clients want from their photography session, and then calmly and professionally exceeding their expectations." "I needed a good Photographer that understood what I needed to represent myself and what I do, and one who shared my vision for my growing business. Becky completely understood my requirements and knew exactly what was needed and how I needed to come across. The shots were taken in beautiful surroundings, and she made me feel completely at ease. Needless to say, I will now be commissioning Becky for family photos too! If you need professional photography that delivers quickly, Becky comes highly recommended."